For more than 20 years, the Waterford Concert Series has brought internationally acclaimed musicians to the tiny western Loudoun village. But lately, organizers are taking things up a notch, bringing in cutting-edge young musicians. It’s definitely not your grandmother’s concert series—and no one will be snoozing in their seats. The series is also a chance for music lovers from around the region to catch emerging global performers in a small venue. 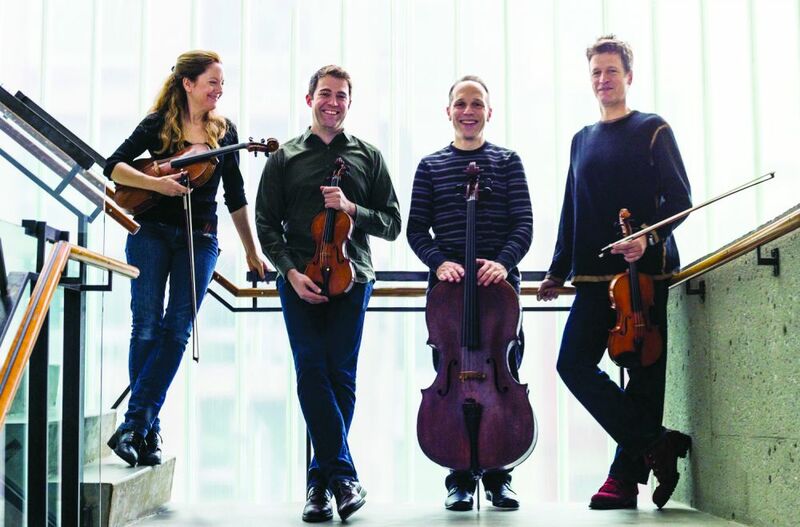 The series kicks off March 19 with the hip, high-energy St. Lawrence String Quartet (SLSQ), a Grammy-nominated ensemble formed in Toronto and now based in Stanford, CA. The quartet will deconstruct one of the most famous works by Joseph Haydn (considered the godfather of the string quartet), taking quartet number 5 from his milestone 1772 Opus 20—and breaking it down for the audience before playing the full piece, followed by works by other composers featuring a similar musical structure. The series’ April 23 concert features Red Priest, a British baroque quartet on a U.S. spring tour with Cape Breton violinist David Greenberg as guest artist. 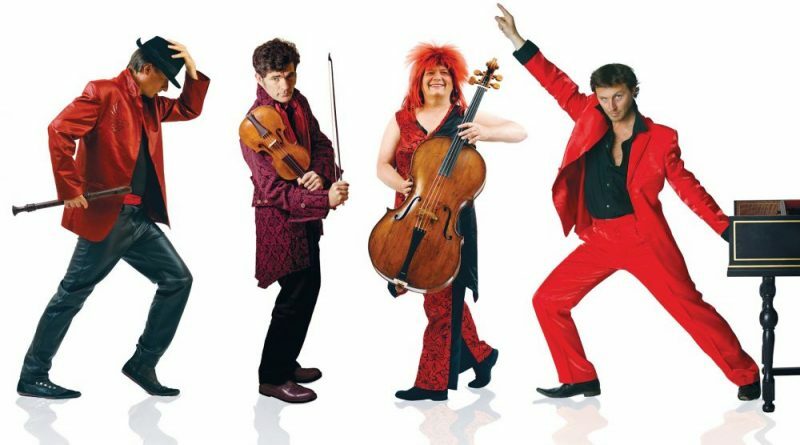 Known for their theatrical—even flamboyant—performances, Red Priest (which take its name from the nickname of legendary baroque composer Antonio Vivaldi) have been compared to Rolling Stones and Cirque du Soleil. Their Viva Baroque program mixes Vivaldi’s Four Seasons with works by 17th and 18th century composers from all over Europe. What draws some of the world’s best classical musicians to an old schoolhouse in the middle of the western Loudoun countryside? The series is earning a solid reputation in the classical music world for its repertoire and bucolic setting. And the personal passion of the program’s board members also comes into play. Until 2015, the series was a part of the Waterford Foundation, but at the end of that year, Adams and fellow board members launched it as a separate nonprofit to allow for more flexibility in fundraising and selecting top artists. Adams and her colleagues on the board are classical music nuts who keep up with what’s hot in the classical world and often have personal contacts with musicians and music industry connectors. For acclaimed pianist Alon Goldstein, who wrapped up the series’ 2016 season, organizers’ passion and the chance to play in a “beautiful venue, which has intimacy together with intensity” were both big draws. And for longtime subscribers like Kathleen Hughes of Waterford, the season is something to anticipate every year. The Waterford Concert Series kicks off with the St. Lawrence String Quartet, Sunday, March 19 at 4 p.m. at the Waterford Old School auditorium, 40222 Fairfax St. The series continues April 23, May 21, Sept. 24 and Nov. 12 at 4 p.m.
Subscriptions for the five-concert series are $125 for adults and $45 for students and include priority seating post-concert receptions with performers. Single concert tickets are $35 for adults and $15 for students. Tickets to the Best of Levine concert is $20 for adults and free for students. Children 12 and younger are admitted free to all performances. The engaging St. Lawrence String Quartet launches the Waterford Concert Series 2017 season March 19.